My daughter and I recently had the chance to try Yum Earth Organic Lollipops. They contain no artificial dyes and are made with 100% natural flavors. My daughter loves candy but with her ADHD, certain dyes seem to make her more hyper so I try to limit those as much as possible. I was excited and a bit worried at the same time. 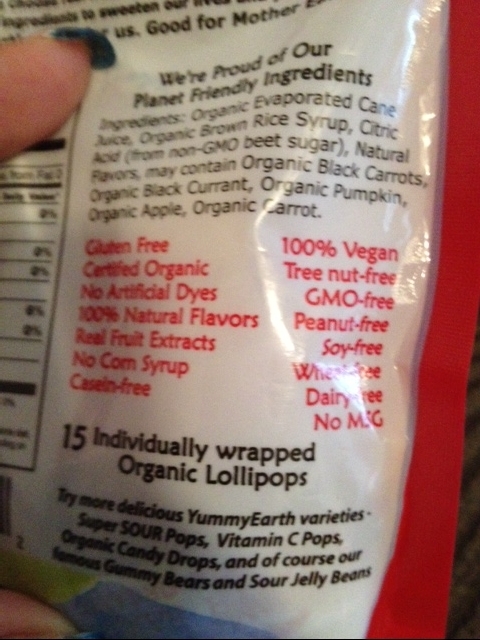 You see, nearly every organic, all natural product or candy that I have had my daughter try, was a bust. She didn't like many of them at all and the common complaint was that the items didn't taste good or that they were not sweet enough. 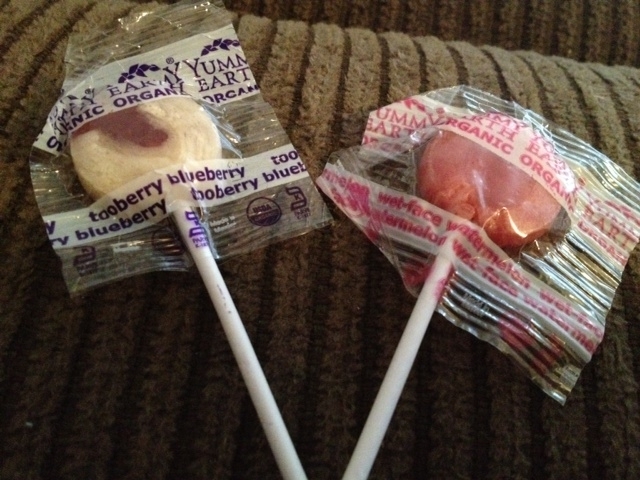 When the Yum Earth Organic Lollipops arrived, she couldn't wait to try them. I was shocked when she said that she loved them and they tasted awesome. I, of course, then had to try one for myself. They are the best lollipops! The flavors in the bag I received were: Mango Tango, Pomegranate Pucker, Tooberry Blueberry and Wet-Face Watermelon. With regular lollipops, they are mostly sugar so of course they are super sweet with usually only a hint of flavor. 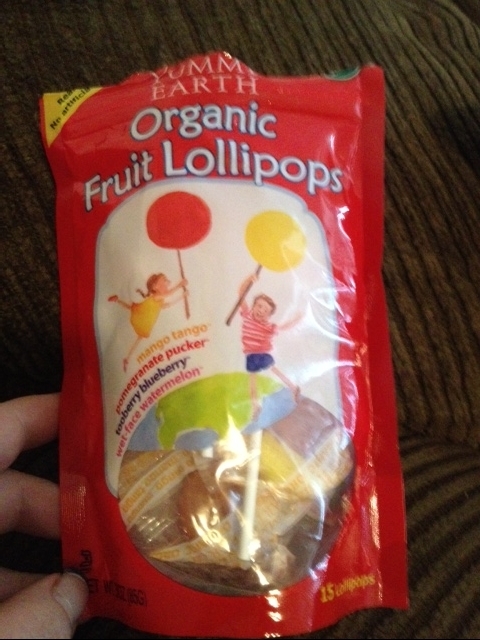 With Yum Earth Lollipops, the fruit flavors pop in your mouth. They are filled with fruit flavor and are surprisingly sweet. 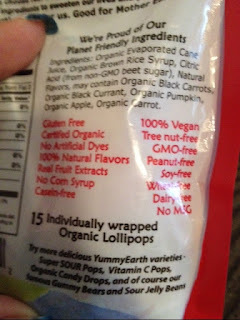 These would be a fabulous treat for anyone who needs to stay away from peanuts, tree nuts, soy, dairy or wheat, as well as for parents who want their children to have healthier treats that don't contain corn syrup or artificial dyes. Even if those are not the case, they taste amazing and are full of fruit flavor. You can purchase Yum Earth products on their website and they are found in many stores nationwide as well. They have other products including gummy bears. They will have fruit snacks available in early March as well. Connect with Yum Earth on Facebook and Twitter. Disclosure: I received a complementary sample in order to facilitate a review. All opinions were honest, my own and may vary from yours.